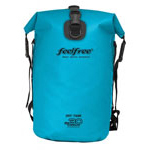 Southampton Canoes stock Feelfree dry luggage suitable for activities such as kayaking, canoeing, sailing, cycling, hiking and motor cycling. These high quality bags are made with 100% waterproof fabric and use high frequency welded seams to ensure your items stay dry. 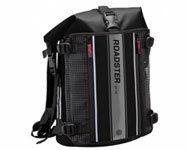 Waterproof backpack with removable laptop & gadget pouch, ideal for your commute to work and suitable for cycling and motor biking with its adjustable waist and chest straps. 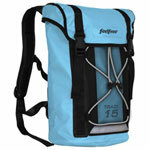 Waterproof backpack made for all outdoor activites. Large volume dry bag with backpack straps, perfect for keeping all your kit dry on paddling trips. Available in 15, 30, 40 & 60 Litre sizes. Top locking strap for extra security. 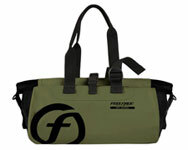 Waterproof duffel bag, ideal for days out at the beach or for storing your gym cloths. 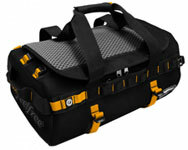 Waterproof travel bag with backpack straps for added comfort when carrying heavy loads. Shoulder bag with waterproof fabric, great for storing smaller items such as car keys and wallets/purses. Quality dry tube with a roll down seal and securing clip. Small dry bag with a roll down seal and clip. 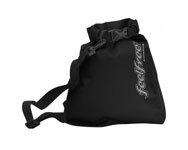 These bags are great for keeping small belongings dry such as keys and your wallet.